Milk bath recipes are a relaxing and inexpensive way to rejuvenate your skin, body and mind. These easy, wonderful recipes using goat milk products will make you feel like Cleopatra herself! Is there any simpler way to go from feeling tired and worn out to feeling refreshed and energetic than a simple, relaxing bath? And, when you add a few special ingredients, your bath can serve not only to relax you, but can also help revitalize your skin, and ease sore muscles, itching and other problems. Before you jump in the tub, here are some general guidelines to help make your bathing experience exactly what you need. Amounts are only a general guideline. Use more or less of an ingredient based on the amount of bath water, and the specific benefits of the ingredient that you need. Larger grained salts will take longer to dissolve than finer grained ones. Hot water baths will make you feel fatigued, while warm water will refresh you. Essential oils are extremely concentrated. Use only one to a few drops, and learn the properties of each before using, as some may not be appropriate for certain health conditions. When using all dry ingredients, you can mix up a recipe in a larger amount, store in an airtight container, and scoop out as desired. Use about 1/2 cup mixture per bath. Add 2-4 cups of fresh goat milk or goat buttermilk to your bath water. Soak for 15-20 minutes, then rinse with slightly warm water. Cleopatra's legenday baths were supposedly pure goat milk, but that's a little extravagant for non-royalty! To help you decide the best combination for your milk bath, here is a list of common ingredients and their properties. Cornstarch creates a soothing bath that helps stop itching and helps to dry skin (such as for weepy rashes). Oatmeal helps gently clean, soothe and stop itching without drying skin like soap. Salt is antibacterial, helps clean pores and is very good for skin with eczema. Sea salt contains more beneficial minerals than table salt. Baking soda can be used as a gentle cleanser in place of soap. It leaves skin feeling smooth, and also helps relieve itching. Cocoa powder is very emollient and helps moisturize skin. Honey is a humectant, which means that it helps draw moisture to the skin. Epsom salts help reduce swelling, relieve sore muscles and draw toxins from the body. Essential oils in baths are used primarily for their aromatherapy properties, but some are also used for their medicinal properties, also. Consult a good guide to essential oils for choosing the oils and amounts that can best benefit you. Fresh or powdered goat milk has fats and protein that help moisturize and rejuvenate skin. Fermented goat milk products, like buttermilk, yogurt, sour cream and kefir, have lactic acid, which helps remove old skin cells to expose new, younger-looking cells. Use in place of fresh milk if desired. If you have trouble finding powdered goat milk, you can order it from the skin care supply company, From Nature With Love, along with other great bath ingredients. They even have their own suggested milk bath recipes that you may want to try. Soaking in your milk bath is also a wonderful time to try out one of our homemade facials. Then, you'll have the goodness of goat milk for your skin from head to toe! In between your therapeutic baths, try goat milk skin care products, like soap and lotion, to maintain your healthy skin. 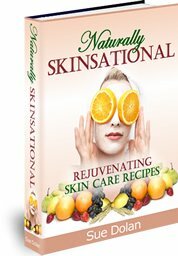 If you enjoyed these recipes, you may like to expand your natural skin care resources with the following ebooks. If you love facials, you'll really enjoy the recipes in the Naturally Skinsational Ebook that you can create in just a few minutes with ingredients you probably already have on hand. Sue goes one step beyond, and lets you know WHY the ingredients are included and how they help your skin! 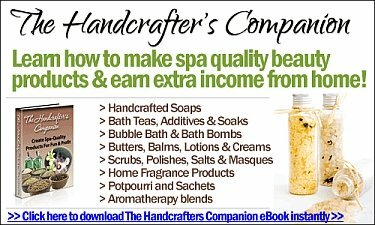 Articles are updated frequently, so check back here for any new bath recipes!